PharmaVital is the result of decades of experience of customer service. 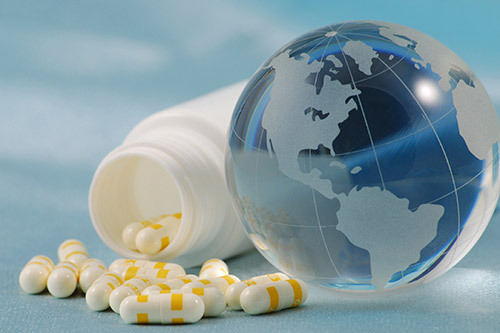 Starting as a supplier of pharmaceutical products to pharmacies and hospitals in other European countries, PharmaVital GmbH was founded in 2009, the medicinal and vital resources, based in Germany, manufactures. Our high-quality manufactured products also convinced our partners and so we supply over 1000 pharmacies in Germany and abroad. Strict quality controls and uncompromising manufacturing processes guarantee the esteem of our company. As a young, ambitious company, we have set ourselves the goal to place high quality products at healthy prices on the market. Based in Bonn Europe we control production, purchasing and distribution of our products. The quality control of the high standards to technically and medically flawless products guarantee. A proof of this is the well-known consequential partnerships. The future belongs to the customers we like to listen to and record according to his needs Proven and also new in our product range. But high-quality medical and Vital products need not necessarily be expensive. High production numbers that guarantee high sales figures come into being low prices. Our motto is: „QUALITY FOR HEALTHY PRICES“. The ever-increasing demand for PharmaVital products justifies the expansion of our product range. So we can offer you the prices of today nor tomorrow. Therefore, the mission of our company to provide effective healing and vital ressources at home and abroad remains, then and now.